Thew Beijing Olympics solidified LeBron as a superstar throughout the globe, especially in China as he helped secure the gold medal for the United States as an intricate part of the Redeem Team. 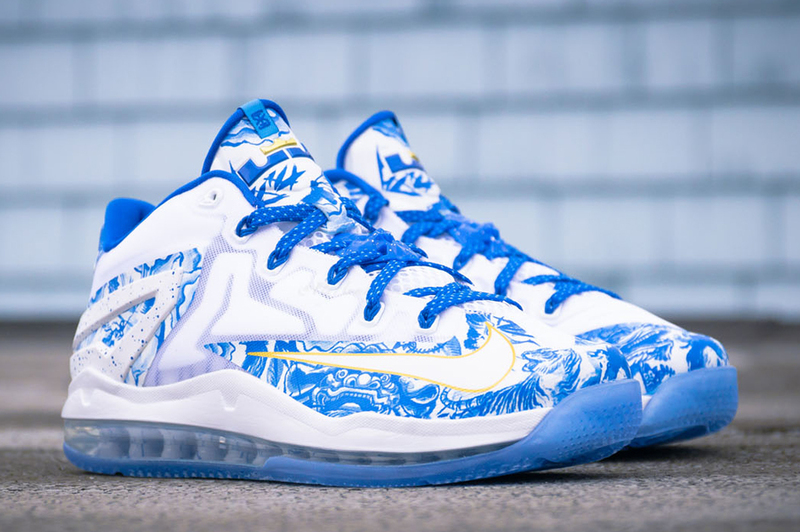 The love affair has given us a number of LeBron silhouettes donning China-inspired aesthetics, and this LeBron 11 Low “China” continues the fairly new tradition thanks to a look inspired by handmade porcelain vases. If you look closely enough the toebox features a tiger, dragon and more etched in a Hyper Cobalt while accents of gold make for a premium finish. 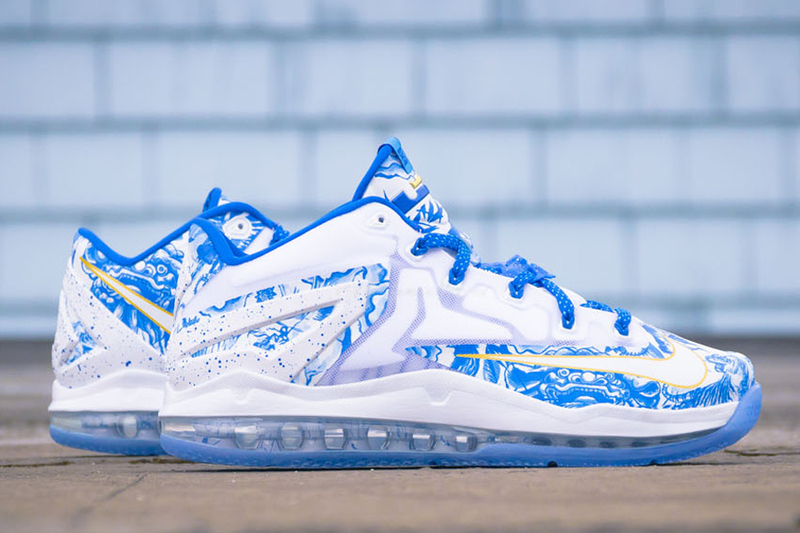 Continue onward after the break for a full look at this Nike LeBron 11 Low and know that you can grab this pair from select spots like Packer Shoes on September 25th.